The regular session of the Council of the Ethiopian People’s Revolutionary Democratic Front (EPRDF) has kicked off today in Addis Ababa. The Council is expected to deliberate on national organizational performances of the front over the past month. Ethiopia:Update About Addis Ababa Police Commissioner Degefe Bedi With Ethiopia becoming increasingly dependent on the importation of furniture products from abroad, the Furniture and Interior Expo (FINTEX) returns to the Millennium Hall on May 2, 2019. Will Sudan continue its lead with Ethiopia on the Nile Dam? 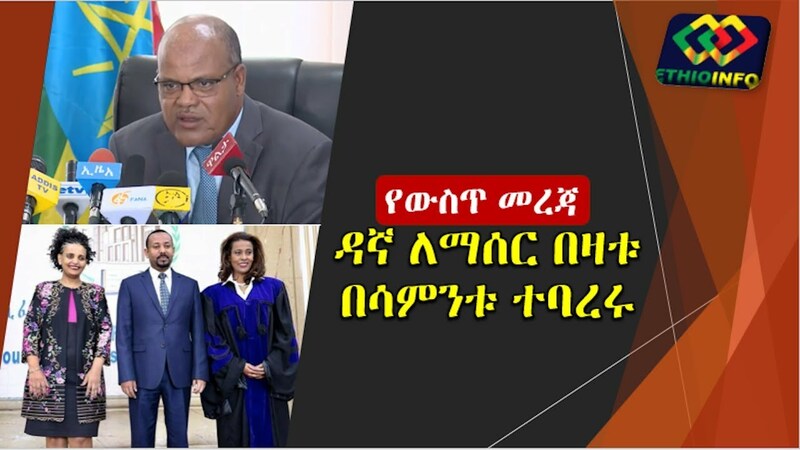 Ethiopia:Human Rights Watch Review On Dr. Abiy's First Year As a Prime Minister Accountability and Justice andforhuman rights, rule of law, and democracy UK Expresses Commitment To Advance Cooperation With Ethiopia State Minister of Foreign Affairs Mrs.